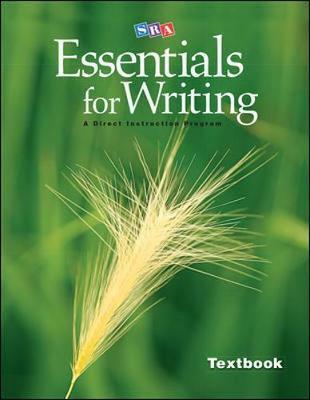 SRA Essentials for Writing is specifically designed to help middle/high school students write with clarity, purpose and care. Systematic, explicit instruction and daily writing assignments ensure that your students focus and structure their thinking, as well as learn strategies for accomplishing specific types of writing tasks. Appropriately scaffolded lessons prepare them to produce work that contains well developed and pertinent ideas, supporting examples, and appropriate detail. Siegfried Engelmann's 30+ years of research on teaching beginning reading resulted in the creation of the incredibly successful Direct Instruction teaching method, a cornerstone of SRA's Reading Mastery Plus program. He has produced an extensive list of books (including SRA's Direct Instruction reading, mathematics, and language arts programs), journal articles, and papers focusing on Direct Instruction.